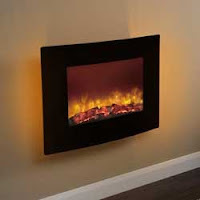 Released and extremely popular within the fire industry is the Devotion Electric Fire produced by Apex. Apex have become a well established recognizable name amongst the fireplace industry within Great Britain, so when they embark on designing and creating a new electric fire they produce one of the highest quality electric fires available, and have done so once again with the new Devotion. The Apex Devotion has the option to be set on a high heat setting with 2kW heat output, a low heat setting with 1kW heat output and a flame effect only setting. The LED lighting effects and heat settings can all easily be adjusted with the remote control that comes as standard, all for an extremely reasonable price. This Apex Devotion electric fire has been designed and will surely be marketed for the rooms of smaller proportions or possibly for a stylish room less used to sporting a fire, like a study or bedroom. With simple installation and easily operated, and an abundant supply of style, the Devotion electric fire is one to definitely look out for.